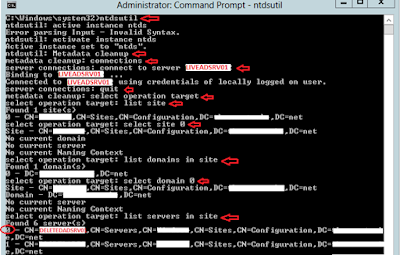 Techies Sphere: How to perform Metadata cleanup of decommissioned Active Directory server? How to perform Metadata cleanup of decommissioned Active Directory server? 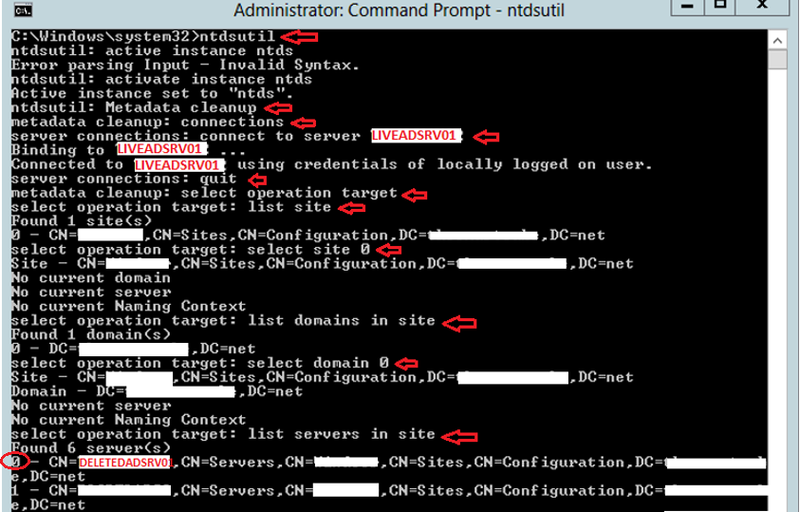 Descriptions: If you are looking for the step by step help to clean up Active Directory Metadata after force decommissioning your ADC server, this article is for you. Friends, it's always better to decommission ADC server gently and by fixing all issues popping up while performing decommission, but sometimes you end up with taking quick decision to go ahead and force decommission the non-production or outdated ADC server. Scenario: I have recently force-decommissioned my ADC server because it was failing for unknown multiple reasons while performing normal decommission from server manager console. Once you execute the last command ‘Remove Selected Server’, you would be getting a pop-up message like shown below. Read the message carefully and proceed further by clicking on ‘Yes’ only if you agree and sure about the action and result. Once the deletion process is completed, type quite on the CMD prompt to exist the metadata clean-up interface. If you have any query and feedback, Please write me back.